Any burglar in his right mind would much rather break into a house which he knows is empty. That way, once he is inside, he knows that he has all the time in the world to have a good look around and get absolutely everything that is worth taking. He, or she, knows that he will not have to rush. He can relax, knowing that he need not fear the sound of the key going in the lock. People can increase their peace of mind while they are on the beach by taking steps to ensure that it is not obvious that their home is empty. All doors and windows should be shut and locked. 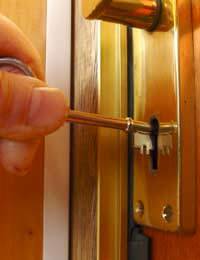 Keys should be taken out of the locks and kept securely in a separate place. If there is an alarm fitted it should be switched on. If there is no alarm it is possible to buy a fake “alarm box” quite cheaply. One of these attached to the wall may be enough to make someone think twice before trying to break in. Special systems can be installed which randomly turn lights on and off inside a property to give the appearance that it is occupied. Outside security lights will mean that any burglar will be visible while he tries to break in. Any overgrown foliage should be cut back so that it does not obscure doors and windows. As well as making the property appear well cared for – and therefore occupied – it will also prevent a burglar having a convenient hiding place while he works at breaking in. All gates should be locked. Anything that has to be left outside should be secured. Any tools or other items that could provide a means of breaking in should be safely put away or hidden. Important documents and high value items such as jewellery should be hidden away and, preferably, secured if the house is to be unoccupied for an extended period. If high value items, such as bicycles, are usually stored outside the property these should also be locked away or brought inside. All deliveries should be cancelled. The most obvious sign that someone is away is an accumulation of newspapers or milk bottles at the front door. The Post Office now offers a service where, for a small fee, they will hold all post sent to a particular address for a set period. Deliveries can then be automatically resumed after the householder returns. If people have a trusted neighbour they may be able to visit the home while it is empty. Lights could be turned on and off and curtains opened and closed to give the appearance that someone is at home. Mail could also be picked up so that anyone who looks through the letterbox does not see a tell-tale pile of letters. Talking about holiday plans in places where strangers might hear should be avoided. Even putting a home address on luggage can be dangerous – organised gangs have been known to work in league with baggage handlers at airports so that they have a list of addresses that they know will be empty. If there is a local Neighbourhood Watch scheme they could be notified that the property is going to be empty. They would then be able to keep an eye on it while the owner is away. Some house or contents policies may be invalidated if a property is left empty for a prolonged period. Before leaving people should check the terms of their policy and make sure that they are covered while they are away. If there is any doubt, the insurance company should be contacted. It may be that extra cover can be arranged or that there are some additional security requirements which can be implemented so that the policy will be valid while the property is empty.